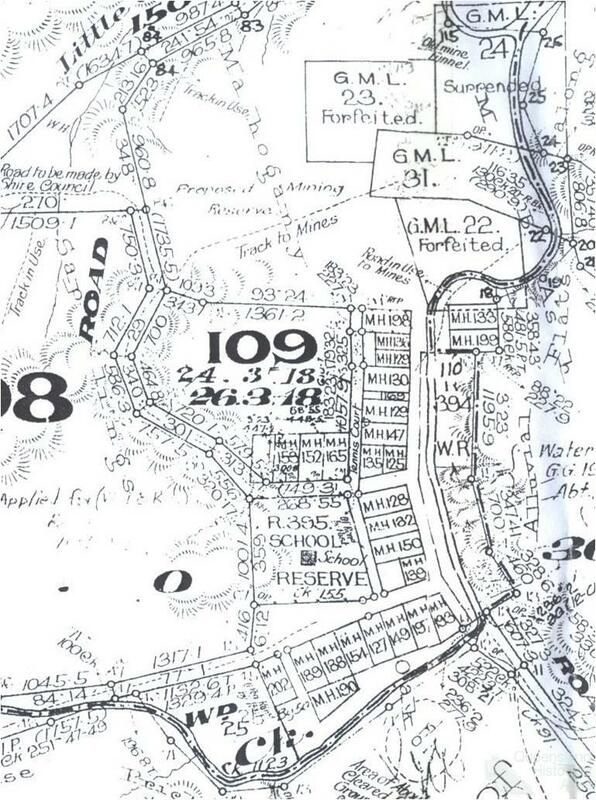 Cadastral map, miners homestead leases at Mount Shamrock, 1926. Land surveyors carefully depicted the boundaries of properties and roadways, often masking variations in the actual layout of a town. At Mount Shamrock, the mapping of leases was an important step as it was part of administrative acknowledgement of the existence of a town that had in fact been present for almost 30 years. Collection of Geraldine Mate.